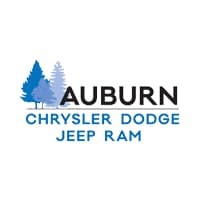 Auburn Chrysler Dodge Jeep Ram is proud to be associated with Car Pro because they give straight talk and honest answers about everything automotive. You can rest assured that a Car Pro dealership will save you a lot of hassle on your car purchase. Since a car is typically the second largest purchase you will make, Auburn wants to do everything possible to ensure that your purchasing experience will be a positive and rewarding one. Car buyers regularly turn to Jerry Reynolds the Car Pro to learn more about the vehicles they’re interested in buying. As one of Car Pro’s recommended and preferred dealerships, Auburn CJDR is required to strictly follow the business practices described above. We take great pride in providing our customers with outstanding customer service. Find out what makes us the only Car Pro approved Chrysler Dodge Jeep Ram dealer in the Sacramento area by visiting Auburn CDJR today!